GenreOnline.net: RETURN TO NUKE 'EM HIGH, VOL. 1 New York Q&A on Friday, January 10th and Saturday, January 11th! RETURN TO NUKE 'EM HIGH, VOL. 1 New York Q&A on Friday, January 10th and Saturday, January 11th! New York Q&As at Village East Cinemas! Fans will have a chance to hear about, and ask questions, regarding the making of the latest release from the world’s leading independent film company! RETURN TO NUKE ‘EM HIGH, VOL. 1 is Lloyd Kaufman’s latest Tromasterpiece. A hilarious, thoughtful sci-fi event film with themes ripped straight from today's headlines: the contamination and degradation of the world's food supply, rampant bullying and LGBTQ love triumphing over prejudice and violence. 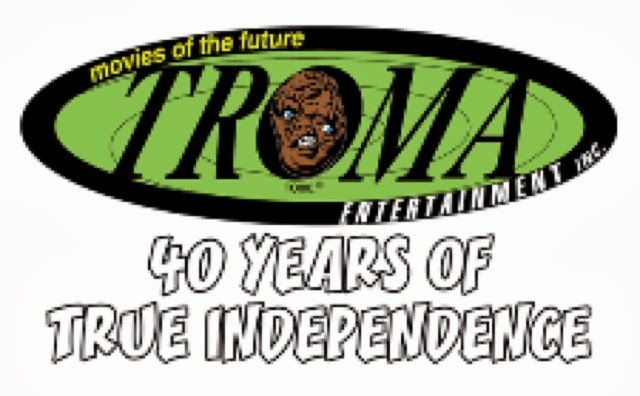 The film -- a revisiting of Troma's 1986 Class of Nuke 'Em High -- is in the same vein as other classics such as Class of 1984, Rock 'n' Roll High School and Carrie, but it's seen through the unique vision of Lloyd Kaufman and the Troma Team.